The greatest risk for runoff losses will be fields where water will rapidly run off. 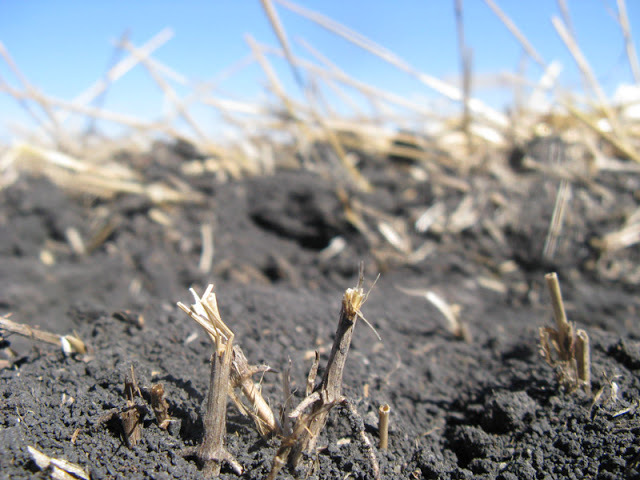 Avoid applying P on soybean stubble, in particular on frozen or partially frozen ground. Soybean stubble provides very little impedance to water flow and presents a high risk for loss with late fall application without tillage. Tillage may not be an option at this point and delaying application into the spring is highly suggested to prevent loss of fertilizer. Loss of N or P not only has environmental consequences, but also is a waste of money. Support for this project was provided in part by the Agricultural Fertilizer Research & Education Council (AFREC) and the Minnesota Soybean Research and Promotion Council.